Master craftsman Wille Sundqvist has been inspiring woodcarvers around the world for more than fifty years. 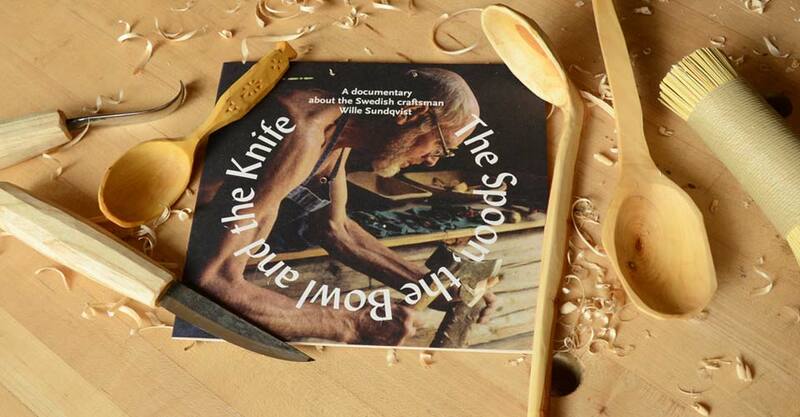 In this new DVD, Wille shows us his process for shaping a ladle from raw material. In addition to detailing his carving process, Wille discusses his life in the craft and experiences with skilled artisans such as furniture designer Carl Malmsten and American folklife researcher Bill Coperwaite. Produced with the help of Drew Langsner of Country Workshops and the National Swedish Handcraft Council, this video is intended to bring the lost art of hand carving to woodworkers around the world. Wille Sundqvist takes the opportunity to share with us his philosophy of life and knowledge of green woodworking. This DVD contains a PDF text file which describes all grasps shown in the film. 71 minutes, streaming video. With English subtitles. Produced by Jogge Sundqvist and Bautafilm Ltd, 2013.